Strawberry season is officially here. From Mother’s Day to Father’s Day we’ll be able to pick these glorious orbs of sweetness from our local farms. Look for a recipe this weekend. Strawberry Shortcake with Balsamic macerated berries and whipped mascarpone. Faabulous! And it works with beef too! My partner Randall refuses to eat lamb. So…wanting to please his taste buds too, I substituted 3 pounds of beef short ribs in the recipe (the extra pound was to compensate for the bones in the ribs), and proceeded as usual. The meat, as you can imagine it would after 2.5 hours of stewing, shredded so very easily. Folded into the penne pasta it coated each piece with the perfect amount of condiment (as Lydia Bastianich would say) and contained in each bite a little morsel of soft meat. Ground beef simply does not taste like this and I would urge you not to prepare this with ground beef. Although the meat “taste” will be there, you’ll be missing out on the shredded jewels studding each bite. Delicious. 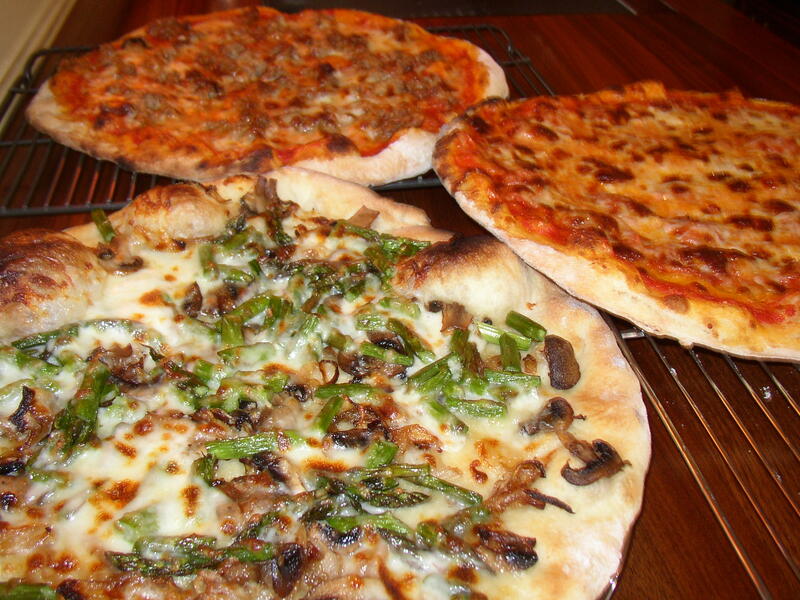 Here is a sampling of this weekend’s pizzas, all of which came from our wood burning oven……Pizzeria Bianco….watch out! At night, when I turn off the lights and head upstairs, I take a last glance at the kitchen that I fantasized about for 18 months while this home was being designed and built. At 440 square feet, it is my temple to gastronomy. A six foot by 11 foot island topped by gleaming black walnut the color of dark caramel anchors the space. The stainless applicances include two Thermidor Microwave, warming drawer/convection oven units, two ranges, one electric and one Viking four burner with a griddle, two sinks, one Kohler cook sink and two dishwashers. The whole magilla is topped off by a Mugnaini Wood fired pizza oven in which the most delicious, most delectable pizzas are baked inside of three minutes. When am I happiest? When it’s full of people, family and friends, and the pizza is baking and the laughs are abundant. It would mean nothing without that. It all started with lunch. Ten or so years ago. Picture it, Dupont Circle, Washington DC….Pizzeria Paradiso. A wood fired pizza oven blazed in the background while we awaited its tasty contents. I was mesmerized. 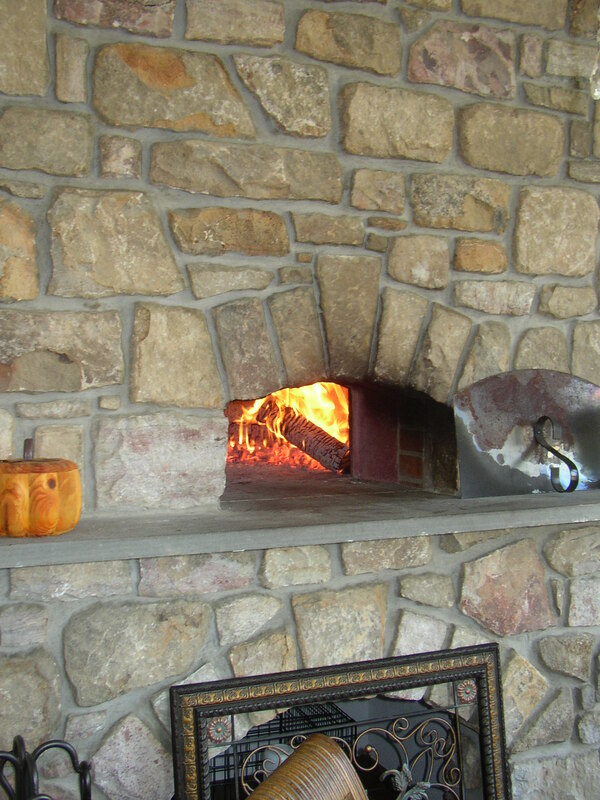 Upon our return to NYC, I obsessed over Google research about wood fired ovens for home use. 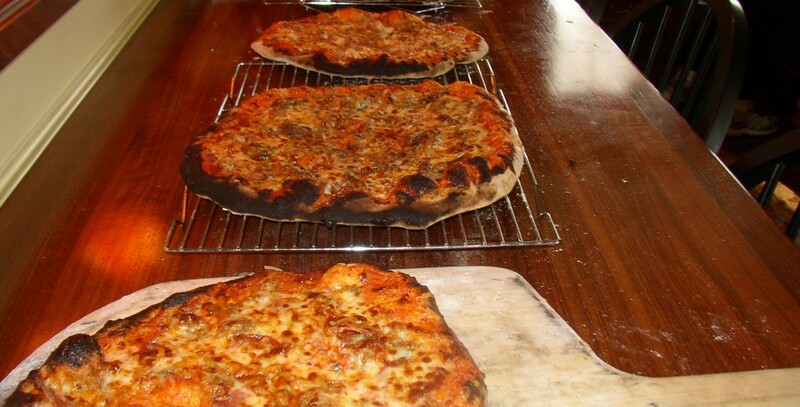 It turns out that there is a fairly large community out there in cyberspace who share stories and recipes all centering around their wood fired ovens! Who knew. At Pizzeria Paradiso, I decided at that moment, that one day, I too would have a wood fired oven in a kitchen. I didn’t know where the kitchen would be located, but I knew, as I know my own skin, that wood fired cooking would be the star attraction. And it is. Fast forward ten years, to Erwinna PA, and my Mugnaini pizza oven turns out the most delicious pizzas this side of Naples. A bit of flour, a bit of obsession and the belief that throwing something out into the universe is a powerful exercize. 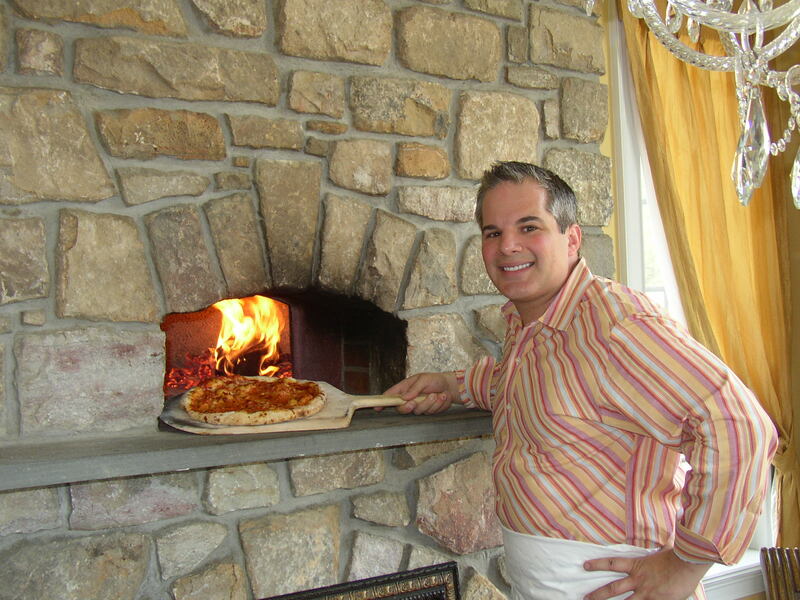 Mugnaini Imports specializes in the importing of Valoriani ovens from Italy. The ovens are made of refractory clay and are shipped from a distribution center in California. The oven itself comes disassembled, and with the assistance of a stone mason, can be built free standing outside or as an addition to your current kitchen. www.mugnaini.com/ovens/ovensMAIN.html for a collection of ovens including ours in Erwinna, PA.
Fueled by hardwood, the oven reaches optimum temperature in about two hours, after which it will bake pie after pie in about three minutes. This is the uber kitchen appliance. I am so grateful to have one and it just thrills me to fill the house with people and let them share in the experience. It’s cooking the way it used to be, and the smell of embers and ash all add to the feel of it. It’s just indescribable.